“To travel is to live”. After all, who does not love traveling? Whether it’s camping or hiking or any other outdoor activity, traveling fills the soul with enthusiasm and gives you a change from your monotonous routine. Definitely, Traveling come with an asterisk mark and some conditions as well. You just don’t get inspired by the quotes or photographs and embark on your journey to hills rather there are certain things that are much indispensable to carry. These things can either be your backpacks, ice chests or any other gear but don’t forget to carry your instant tents. Yes! As the name suggests, Instant Tents are pretty much easy to set up and do not take much time to set up. Easily meeting your storage space, these instant tent comes in plenty of sizes. It hardly matters whether you camp with your peer or are on a solo trip, these instant tents will definitely give you a sense of safety and security and at the same time giving you gratification. Dive into our section of best instant tent reviews. We have broken down the specifications of each that are Internet’s favorite. We have personally reviewed each of the tents and there is no scope of manipulation. Since we believe in “Honesty” our unbiased and trustworthy reviews will save your day and bring the perfect deal for you. So, To bring perfect deal for you, we have rounded up the list of top of instant tents available in the market. 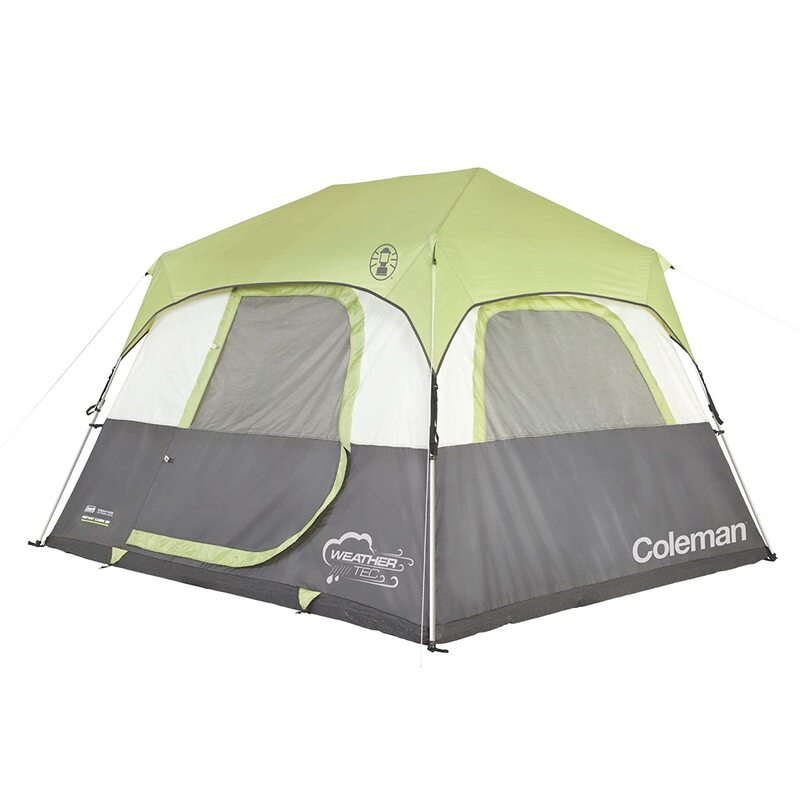 Easily set up the tent with Coleman 4 Person Instant Tent. 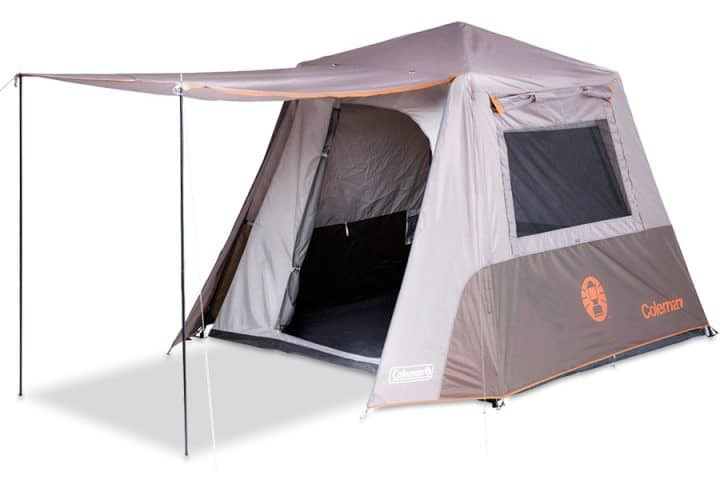 This is the best tent that can be instantly set up whether you are with your partners or are enjoying your solo trip. This instant set up tent provides enough space to accommodate 4 campers easily. In addition to this, the tent features Dark Room technology that blocks 90 percent of sunlight to enter your camp. 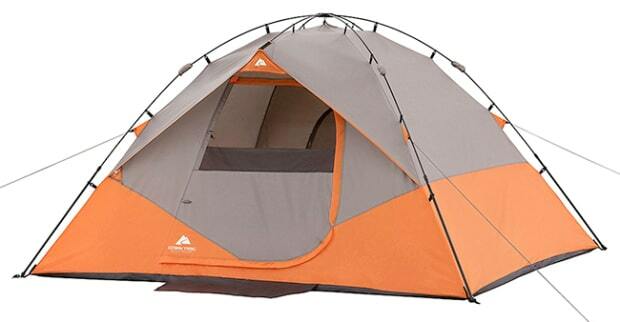 If you have a family of more than 4 people, this instant tent would be a great choice for you. It can easily shelter about 6 people and still leaving some room. As the name suggests, you won’t have to spend a lot of time setting up this instant tent. 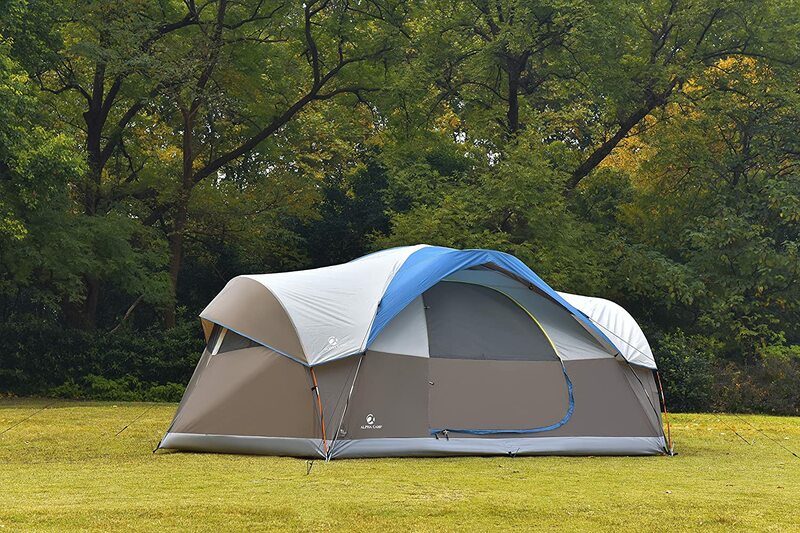 The 7’1 height at the center allows you to easily stand straight inside the tent. The massive storage instant tent to meet all your storage needs. This instant tent accommodates 6 persons at a time. Featuring the Dark Rest technology, you no longer need to worry about the hot sunlight and this technology prevents entering of sunlight inside the tent while keeping your stay cool. 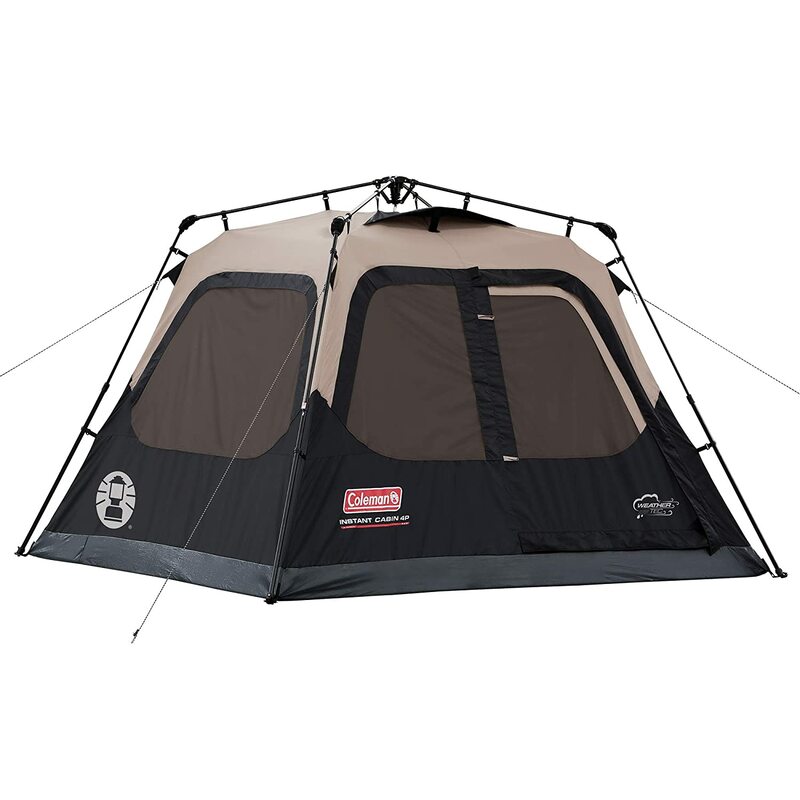 This tent measures the dimensions 10 x 9 feet to meet every storage needs of campers. 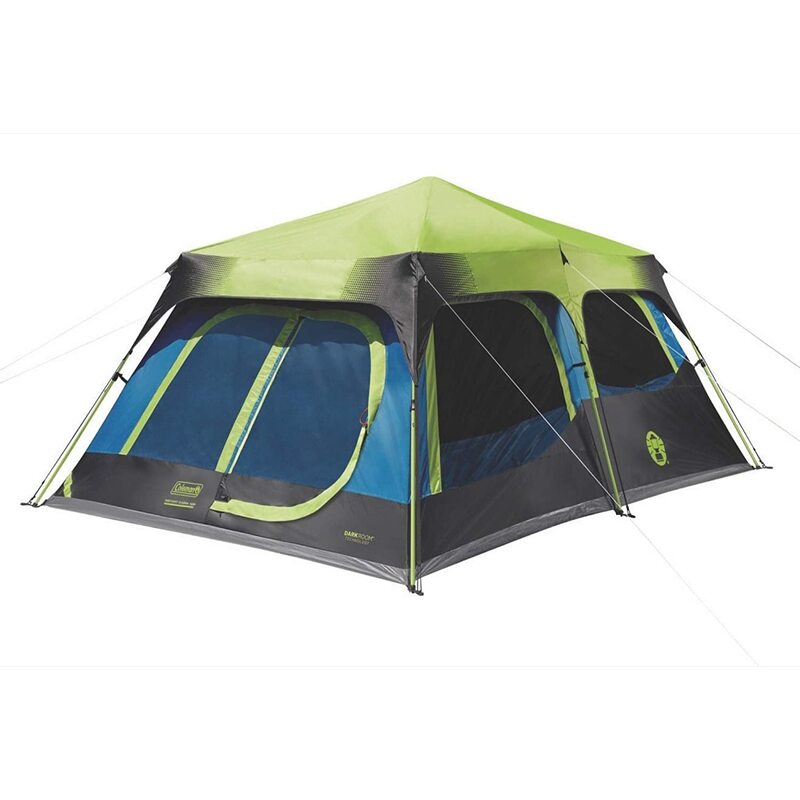 The tent offers plenty of space to shelter up to 6 people and to store your camping essentials. 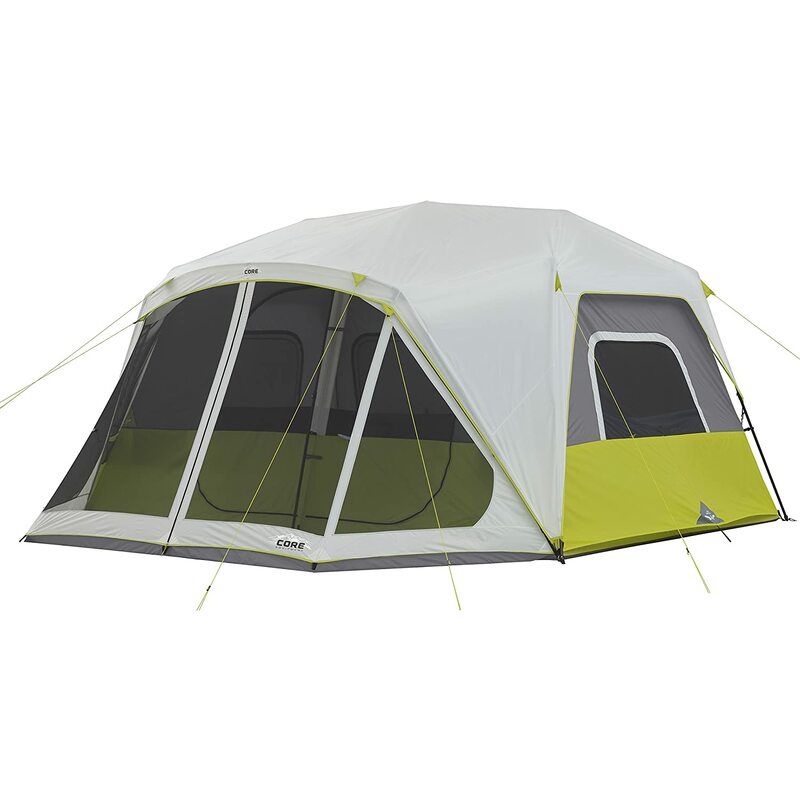 Coming to the ventilation, the instant tent comes with plenty of windows to keep your tent cool during the warm days. In addition, you can easily hang your lantern to cast light inside the tent using the lantern hook that comes attached with this tent. A huge wall organizer allows you to store some of your camping gears there so that they don’t occupy your floor space. The dimension 11’x9′ ensures that you have plenty of space. 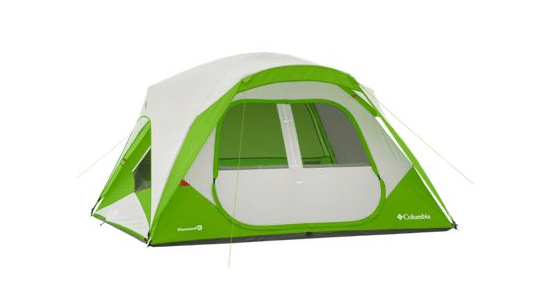 This instant tent brags about the solidly built design and the user-friendly approach that makes setting up the tent under 60 second. Five windows offer good ventilation and you have a great view of the hills through these windows. Besides this, the tent comes with the small pockets to keep your stuff organized and within your reach. The dimensions 14.5 x 14 ft offers an ample space for the campers. If you want to host a party, nothing is stopping you. To add more to your privacy, this instant set-up tent comes with the room divider that is removable to make your living area more spacious. Apart from this, there is a screen area that offers not so huge space, but you can easily put some of your items or camping gears. This is one of the largest tents that offers massive space. 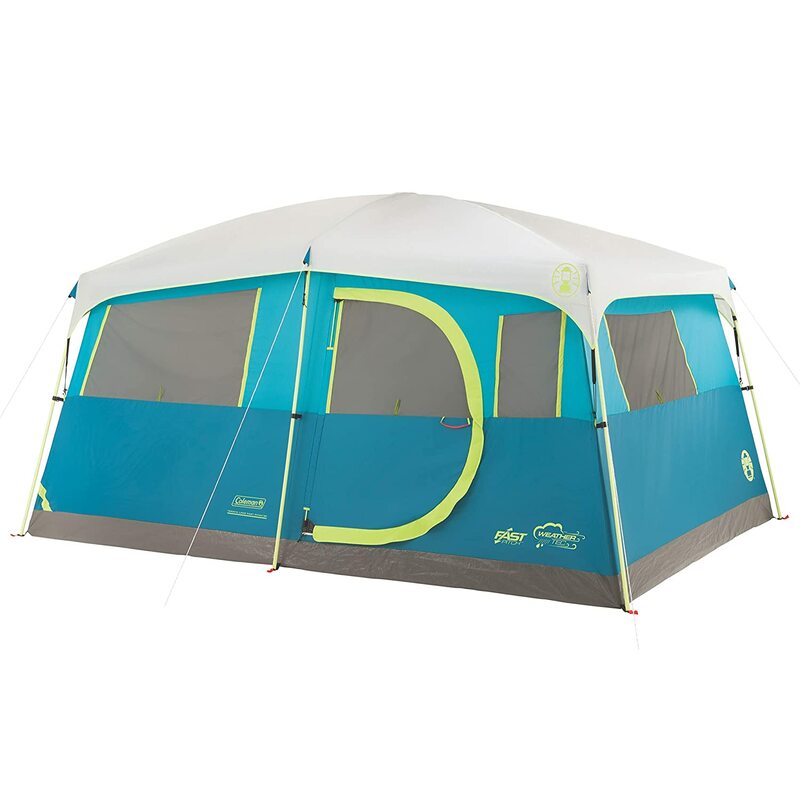 With the dimensions 18 x 10 ft, it can easily sleep up to 12 campers. The instant set up is another thing that makes it so unique since it can be easily setup instantly. If you want privacy, the tent comes with the 3 removable room divider that adds more to your privacy. You can easily remove the room divider to make the space more spacious. Moreover, the instant tent features good ventilation. 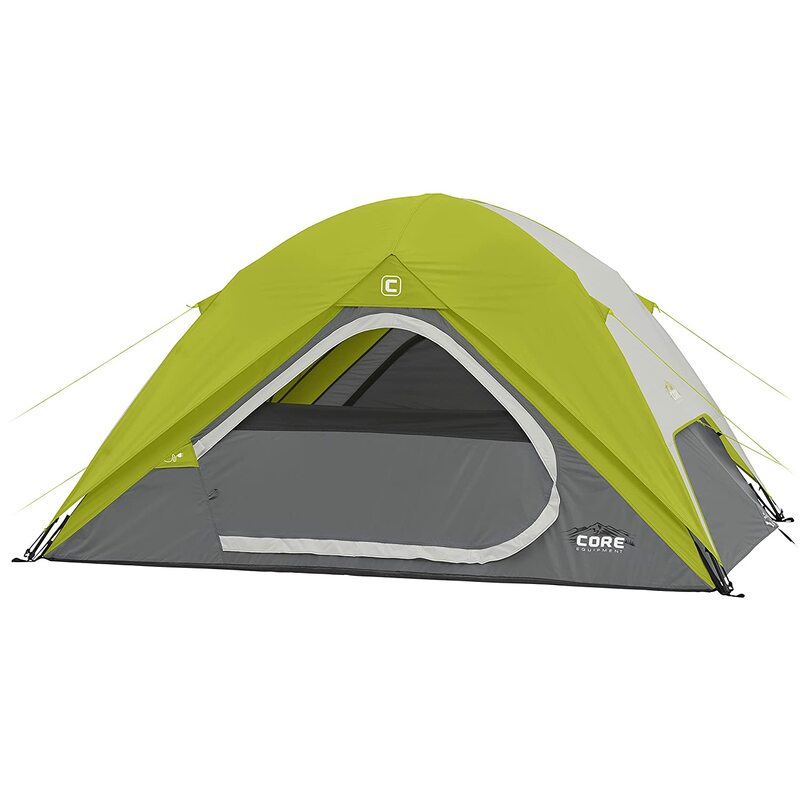 Our another pick in the segment of best instant tents is the CORE Equipment 4 Person Instant Dome Tent. This instant tent hardly takes 30 seconds to set up and offers sufficient space to sleep up to 4 people. As the name suggests and the dimensions 9′ x 7 and 54-inch center height will not disappoint you when it comes to offering the space. Moreover, the built-in storage pockets also ensure you keep your items well secured. Coming to the portability, because of its weight which is estimated at 12.1 pounds, it becomes a bit difficult to carry the tent. 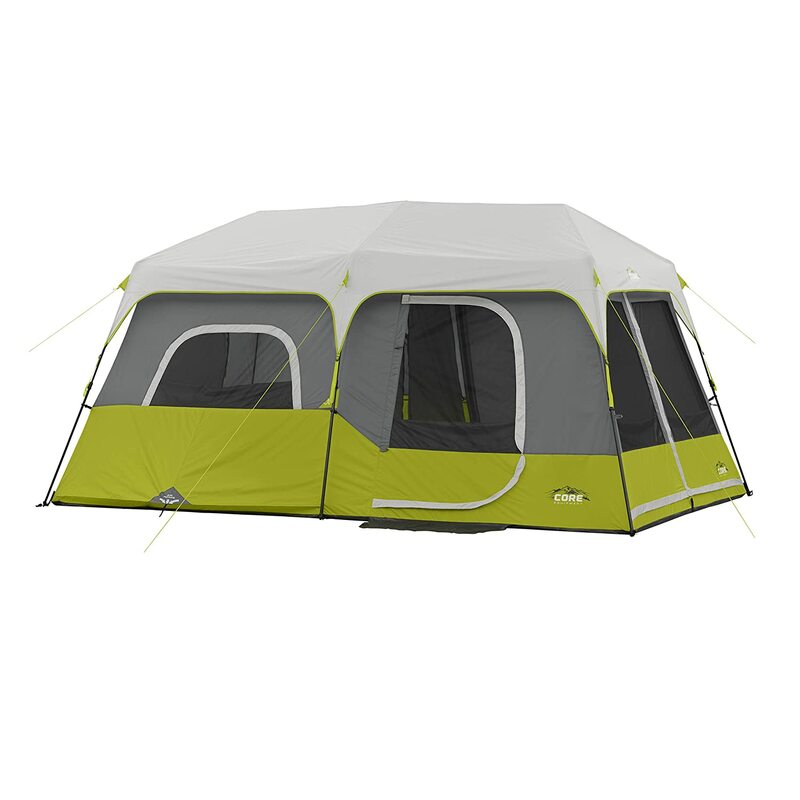 The tent is fairly priced and the features justify the price. Proper ventilation is offered by the tent as it comes with the air vent. The porosity in the door allows the water to enter the camp. This instant tent cannot withstand the heavy rain or wind. If you are looking for a tent that can harbor 5 people, this can be your choice. 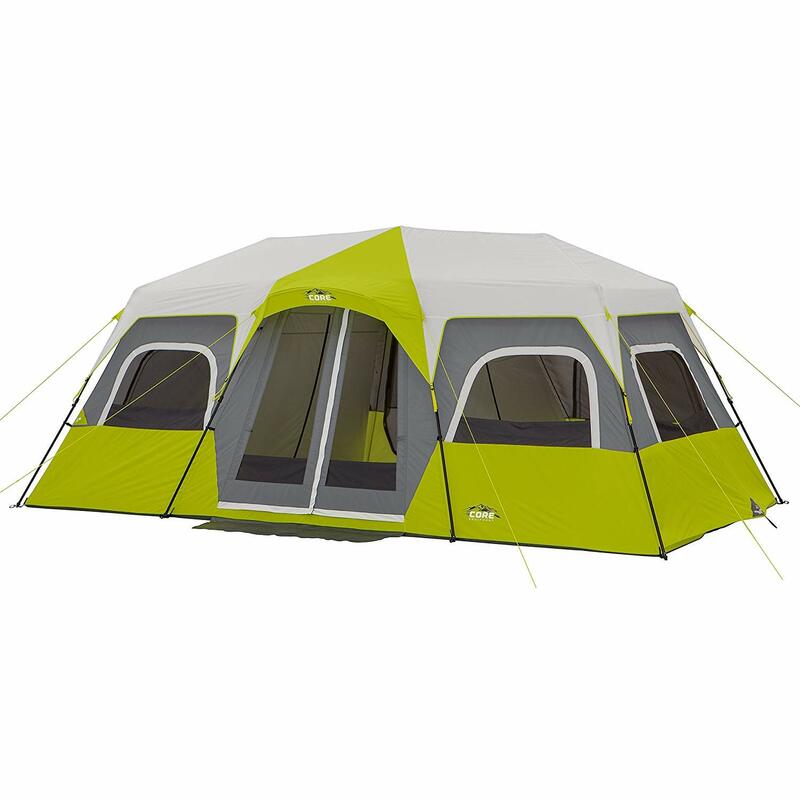 With the huge dimensions 120(L) x 94.5 (W)x 57(H) inches, the tent offers plenty of space to sleep up to 5 people. Now what’s more interesting to know is that the instant tent comes with the mash ceiling, windows and doors that allows the constant flow of air inside the tent. Weighing around 9.25 lbs, you can easily carry the tent on a longer route. Easy to set up and lightweight makes it more portable. Additional storage is really beneficial. Ample space is provided by the tent. The durability of the tent is a bit skeptical. Water has the probability to enter the tent. Another giant that made its way to our list of best instant tents. The size of the tent that comes as 16′ x 16′ offers enormous space to entertain up to 12 people. Moreover, the tent features 7 windows that give you an exquisite view of mother nature and allows the cool air inside the tent during the warm days. The three rooms add more to your privacy and offer every individual its own space. Factory Sealed prevents any sort of leakage. This instant tent can withstand heavy rainfall or storm. The floor is fragile and easily gets holed. The stakes that come with the tent are thin and small which could be better. This instant tent comes with the specifications that have made its way in our list of top instant tents. With the dimensions of 14′ x 9′ and the 78-inch interior height, the tent offers plenty of space to sleep up to 9 campers. So, if you want to host any party or play some games, you will still have some room to store your gears or camping essentials. Talking about the ventilation, the instant set-up tent comes with the air vent that captures the cold air inside the tent. Room divider gives you more privacy and the divider is removable to transform the smaller space into a bigger one. Good ventilation system as the windows allow the easy and constant flow of air. Massive spacious and roomy to entertain 9 guests easily. The stakes are fragile and blitter. Stakes need to be improved. The D-shaped door is not solid and rigid. 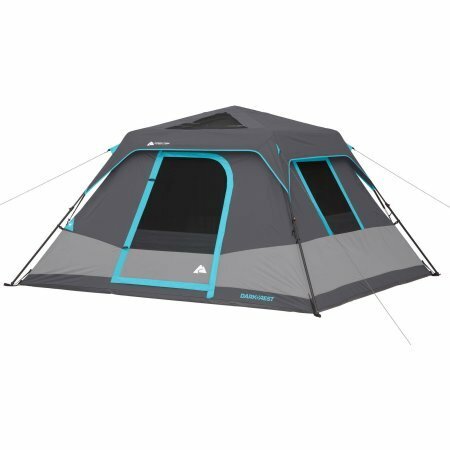 This instant tent brags about the Dark Room Technology it features, this technology does not let the light enter the tent and you can easily sleep when the sun shines. 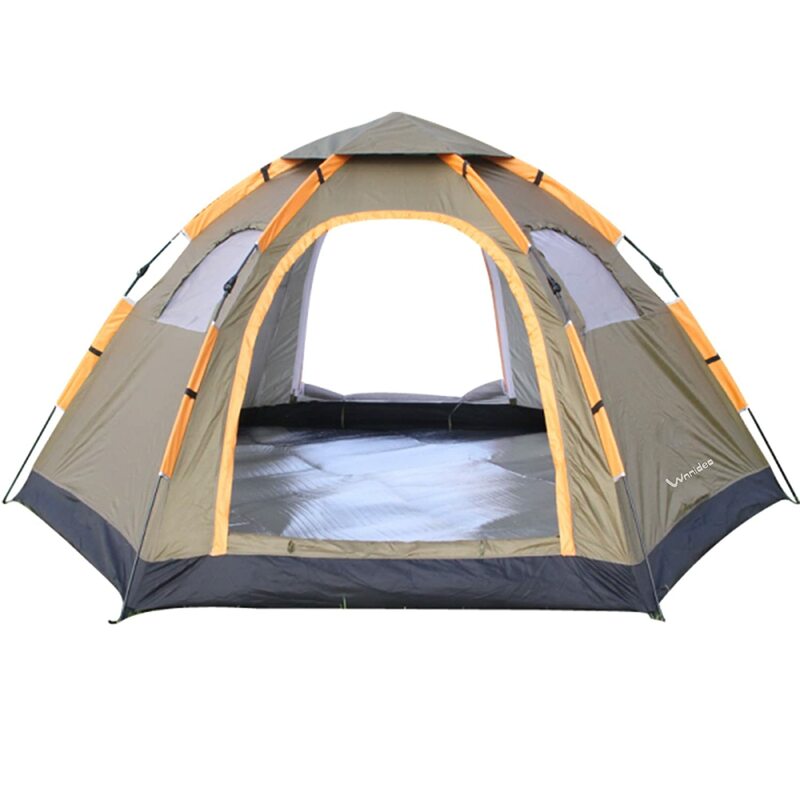 The tent measures 14 ft. X 10 ft. and 6 foot 7-inch center height that is enough capable to provide room for 10 persons. Another impressive thing is that you can stand straight inside the tent since the center height is great. You can experience the hassle-free set up with this instant tent. The tent weighs around 42 pounds. Hinged Door adds to your convenience if you frequently enter or exit the tent. Features the room divider to give you your space and time. Easy to pitch this tent. Water leakage arises during the rainfall. 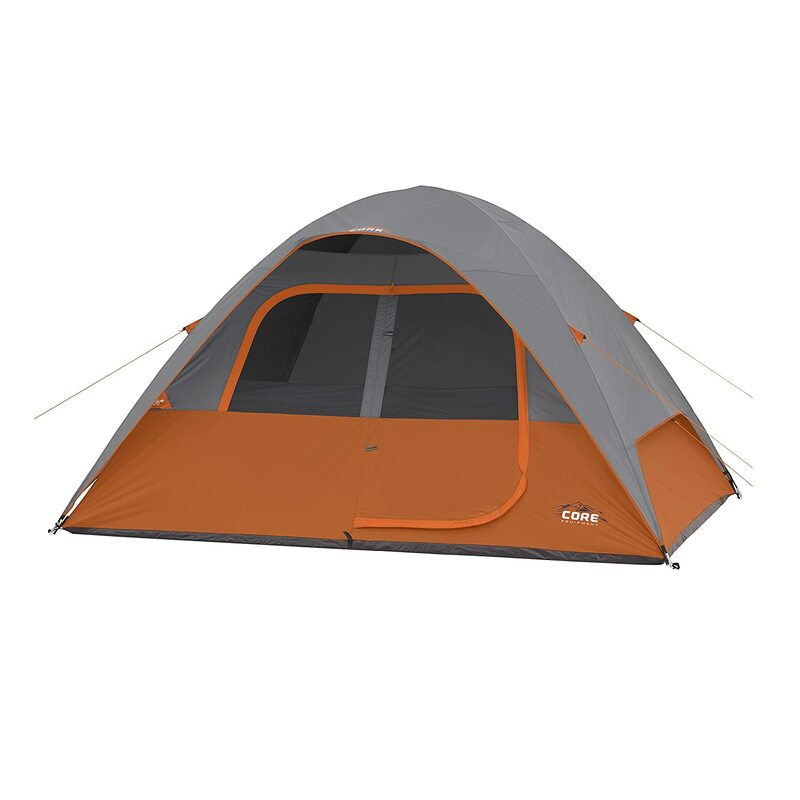 This tent measures 13 x 9 feet that offer plenty of space to hold up to 8 campers. With the interior height of 6-foot 8-inch, you don’t have to lean or bend over. Another impressive thing that this instant tent feature is the closet where you can keep your stuff. Being 2 x 2-foot closet, the closet offers enough space to keep your clothes and saves your floor space. 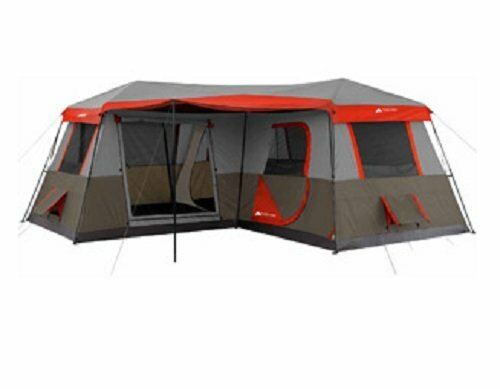 The hinged door adds more to your convenience and you can easily enter and exit the tent. Availability of closet keeps your items well packed and secured. E-port allows you to access your electric devices. You can listen to music “on the go”. The instant tent is a tad heavier and it becomes difficult to carry the tent. Some people might find the instructions ambiguous. Finding a tent, that can be set up in few easy steps is hard. But with these instant tents you don’t have to worry about pitching the tent, because instant tent is very easy to set up. Our reviews of the best instant tents will go a long way to help you in choosing the right instant tent for you. Before you proceed on to buy the instant tent, we advise you to be careful and clear of all the things that you want to experience in your instant tent. Whether its storage space or screened area, make sure you are well familiar with the pros and cons of each specification. As you master these things, a great deal is on your way.